Previously the smaller business turnover threshold was limited to $2 million, now the turnover threshold has been raised to $10 million. This change allows for more businesses to have access to a variety of tax concessions. These concessions allow for small business owners to have a range of options regarding payment and reporting. Currently this applies to any business that falls under the category of sole traders, companies, trusts or partnerships. This increase does face limitations however, as the threshold increase does not apply to Capital Gains Tax Concessions. Businesses that fall under the turnover threshold of $10 million will have the company tax rate lowered to 27.5%. This change has also been applied to the maximum franking credit that a small business owner can allocate to a frankable distribution, which was previously at 30%. This change can mean entities that have continued to distribute information to shareholders based off the 30% tax rate will have to update the information to be inline with current requirements. Individuals who are a small business sole trader, or who have a net share of small business income from a partnership or trust are now eligible to have their income tax offset increased to 8%, with a limit of $1,000 each year. In addition this tax offset also applies to small businesses with an annual turnover less than $5 million. Small business will be able to immediately benefit from new, simpler depreciation rules regarding instant asset write-off. 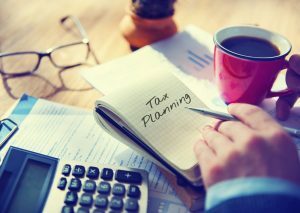 For the 2016/2017 financial year if a small business turner is less than $10 million you will be eligible to deduct the business portion of most assets that cost less than $20,000. The deduction applies to assets that cost less than $20,000, new or second hand. This deduction must be claimed through your tax return; in the year the asset was first purchased, installed or first used. If these changes apply to your business or if you are unsure if these law changes will impact your 2016/2017 tax return, contact our friendly team today.